Beth Moon is a self-taught photographer widely known for her alternative printing processes. The prints on view were selected from her recent Diamond Nights series completed in 2015. 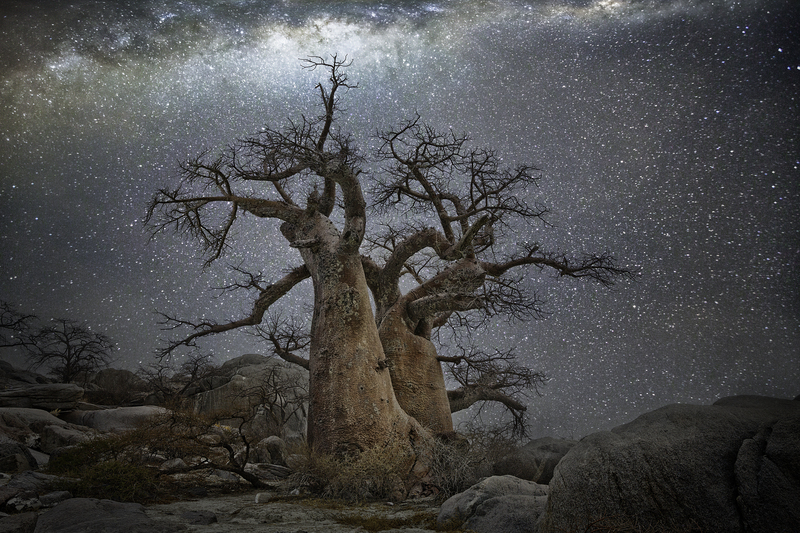 Photographed in Botswana, Namibia and South Africa, Moon presents the iconic Baobab, sometimes called the “Tree of Life”, and the surreal Quiver tree juxtaposed against the Milky Way. The resulting images recall ancient myths as well as contemporary research on the relationship between trees and astronomic phenomena. Beth Moon, "Vela," 2015, color photograph.